The most obvious thing to do with computers in the early days of edtech was to program them using the BASIC language (Beginner’s All-purpose Symbolic Instruction Code) that was built into the machines. Students wrote code, the instructions for computers to follow. In the early days it was simple stuff, such as printing words or numbers on the screen. Miraculously, the computers performed. Partovi says the jobs will be in technology because it affects every field—not just computers and smartphones but also medicine, energy, space research, entertainment, transportation, and more. Learning coding is the pathway to the best jobs in the country. Contrary to this dire forecast is Partovi’s prediction that by 2020 there will be 1.4 million jobs that involve technology. Current estimates say there are only 400,000 computer science students. Schools aren’t teaching computer science, but the emphasis on Science, Technology, Engineering, and Mathematics (STEM) subjects and coding could change that. Programming impacts more than students’ career prospects. Graduating enough skilled workers for technology-based jobs in many industries has an effect on US economic competitiveness. Megan Smith, the United States Chief Technology Officer, believes that the key to innovation is early STEM education. Speaking at the Washington Ideas Forum in October, she said that she wants every child to be able to code. 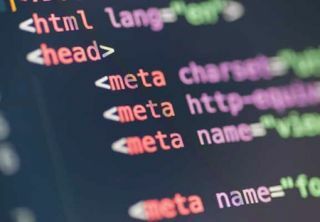 Teaching students to code fits the models of good pedagogy that include hands-on, project-based, constructivist, experiential, and discovery learning. It teaches students how to predict, draw inferences, think logically, interpret, reflect, make connections, and draw conclusions. Several organizations have been formed to address these needs. Girls Who Code is a nonprofit organization, working to close the gender gap in technology and engineering with programs to inspire, educate, and equip girls with the computing skills necessary to pursue 21st-century opportunities, and particularly opportunities in computing fields. Code.org addresses young girls’ interests with a coding project based on Elsa and Anna from the movie Frozen. The backbone of the tutorial is basic: employ simple commands to help the princesses skate lines on the ice. The program uses Blockly, a visual drag-and-drop method for creating a string of commands. Several programming languages are simple enough for young children to use. For example, MIT’s Scratch is based on a collection of graphical “programming blocks” that children snap together to create programs in ways that make syntactic sense. Scratch Junior was developed for early learners. LightBot was designed for students in grades 4–8 (ages 9 and above) to solve puzzles using programming logic. Younger students can use it effectively too. Kodable’s programming curriculum for elementary students is mapped to the Common Core State Standards. With Tynker, students can make Web apps, build custom games, draw math art, interface with hardware, and model science projects. Graphite has published reviews of many of these products. Teachers can find plenty of tutorials to help them get started. In addition to Code.org’s tutorials, organizations such as Codecademy, Codesters, the Raspberry Pi Foundation, and others provide information and support. Catherine & Count Basie Middle School: Eileen Lennon, technology teacher at MS72 Catherine & Count Basie Middle School in Jamaica, New York, uses Hour of Code to get her grade 6–8 students started. Based on the Angry Bird game at Code.org, students begin with basic blocks to compile a script. They get through the 20 steps with short videos interspersed throughout to introduce new tools as they are needed. Students work at their own pace throughout the levels and their teachers monitor progress and create small group instruction as needed. The next step at Catherine & Count Basie Middle School is an introduction to Scratch. Lennon says that students don’t just play games; they create them, starting with the Scratch Shark Game. The teacher models the script to create a simple game in which a shark chases a fish. The students follow along, making slight changes. They progress to use more blocks, cover more concepts, and become more confident in their abilities as beginner programmers. Angelo Tomaso School: At the Angelo Tomaso School in Warren, New Jersey, computer literacy teacher Sheila Connolly and gifted teacher Susan Kline used the ten-week K–5 Code.org curriculum with first and second graders. They started with an “unplugged” coding activity called Move the Flurbs 2, in which students cut out and pasted arrows to direct a character to go where he needed to be in a series of steps. They moved to Graph Paper Programming and then to Code Studio coding activities on Code.org. Austin ISD: Vanessa Jones, instructional technology support specialist for the Austin (TX) ISD, provides professional development for all teachers (Pre-K–8). They use Code.org’s Code Studio (elementary) to provide the curriculum framework. Teachers go through the training as if they were students. They also use the Code.org lessons with high-school students. Both teachers and students, and even principals, are engaged in the lessons. Not only do students participate in the activities at school, they also continue to work on the puzzles at home. Austin ISD uses the Code.org curriculum framework because it is closely aligned with state standards and Common Core and it starts with the basics of computer science and builds on those skills. The entire district participated in the Hour of Code last year to promote computer science. The Hour of Code is Code.org’s introduction to computer science, designed to demystify code and show that anybody can learn the basics. In the two years it has been running, 100,000 teachers have signed up to teach computer science and five million students in over 180 countries have participated. Tutorials are available in more than 30 languages. No experience is needed. The Hour of Code takes place annually during Computer Science Education Week. This year that will be December 7–13, 2015. A popular Hour of Code starter activity is Angry Bird, in which students help the bird to catch a naughty pig. They stack a couple of “move forward” blocks together and press “run” to help him get there. Then they build on what they’ve learned. Students create games, solve fun coding puzzles, and learn programming concepts. They can personalize games with animated characters, multiple levels, and rich props. In addition, Play Lab allows students to create a story or make a game, Artist lets them draw pictures or designs, and they can use Flappy Code to write their own games. Students enjoy what they’re doing and are amazed at what they can create. At Code.org, they can continue to learn coding through a series of lessons for younger or older students. Even adults can learn. Teachers can learn on the site or in workshops set up all around the country. They can use that curriculum or try other coding platforms. You can try it yourself right now. Go to Studio.code.org to build a game and send it to your phone.